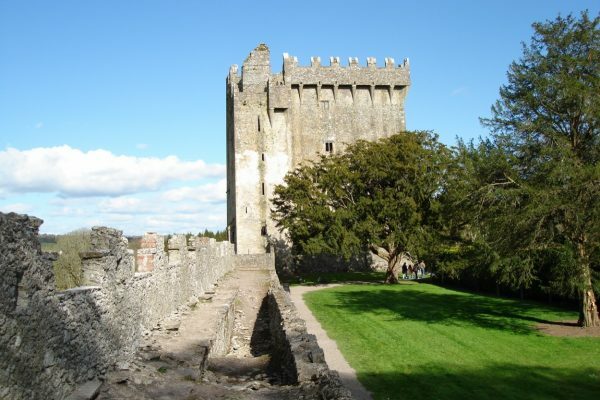 Ireland golf packages and vacations designed by Hidden Links deliver the ultimate Ireland golfing experience. Although not the “home” of golf, many would agree that the soul of the game lies here on the Emerald Isle, perhaps in the cemetery next to the first tee at Ballybunion! The other classic links of the southwest, including Lahinch, Waterville, Tralee, and Old Head also need no introduction, but many Ireland golf aficionados will actually head north from Shannon, seemingly to the end of the earth, to a course anointed by Sports Illustrated as the “best in the world!,” mysterious Carne Golf Links! 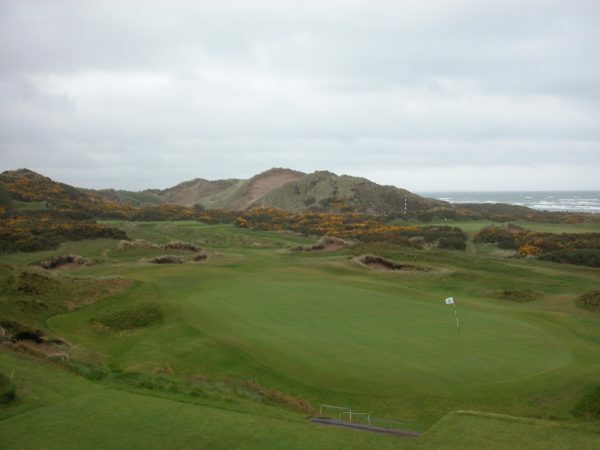 Don’t hesitate to include an extended stay in Northern Ireland, especially to play Royal County Down and Royal Portrush, courses where some of today’s giants like Rory McIlroy, Graeme McDowell, and Darren Clarke honed their games. Cap it off with a visit to Northern Ireland’s most famous attraction, the Giant’s Causeway! Whatever Ireland golf tour you choose, you may physically return home, but may find that you have also left your soul on the Emerald Isle! The Ballybunion Golf Club Old Course in County Kerry Ireland is a truly amazing Scotland golf experience that should not be missed. Few other courses can compare when it comes to an outstanding golfing experience in the British Isles with incredibly playable holes for even the most basic of players. 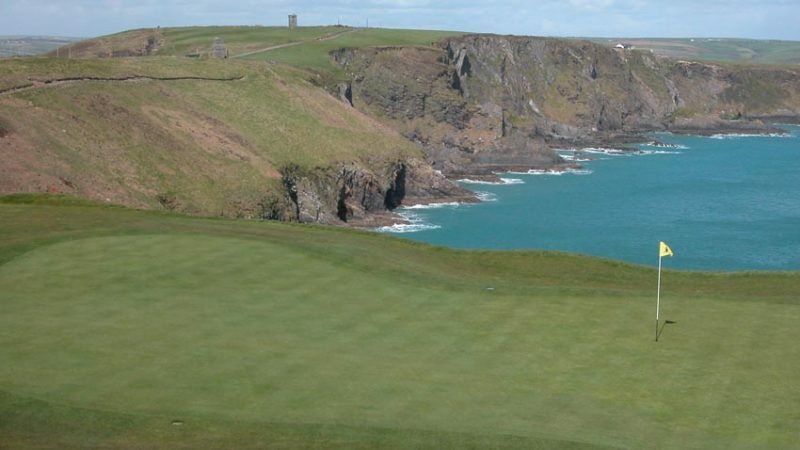 The club at Old Head Golf Links is a unique opportunity to enjoy the very best in all that modern Ireland golfing has to offer. 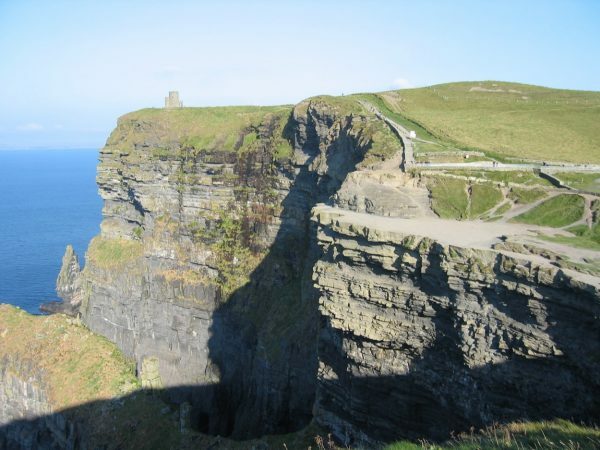 Interestingly, the course is situated close to Ireland’s most southern point of note. 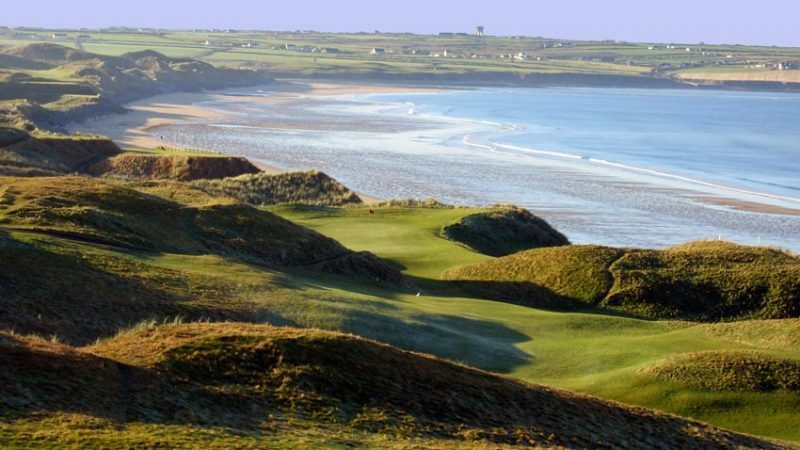 With a famous name to its credit, the golf links at Doonbeg are associated with the Trump name and the Trump International Hotel and Golf links. The Golf Links in Doonbeg has an old world charm that is second to none and is truly an Ireland golf course that is well worth visiting. Unique and beautifully amazing in many ways the Waterville Golf Links found in Southwest Ireland are an absolute treasure. Incredible course architecture, unique design features and meticulously manicured fairways and greens let you know that you have arrived and that you have found the very best in Irish golf clubs. 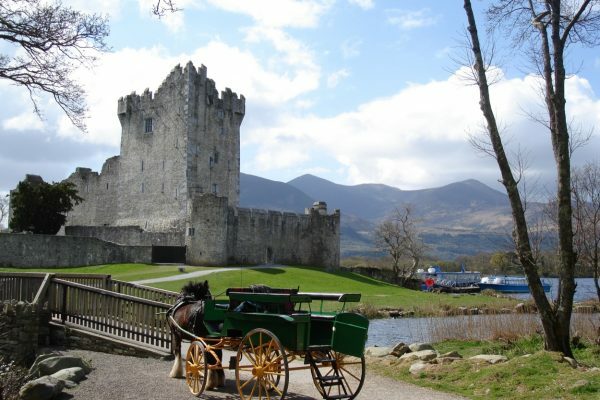 Nestled away in an area of Ireland that is often referred to as the Ring of Kerry is a beautiful and pleasant golf course that should not be missed. 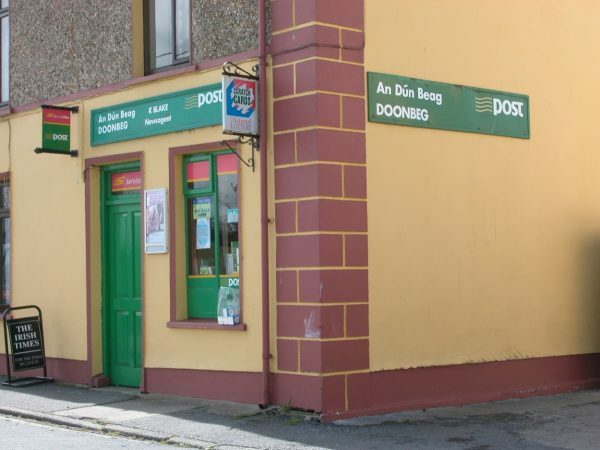 The Dooks Golf Club is an old world course that is old-fashioned although small and quaint. Remarkable Adare Manor in Ireland is home to the Adare Golf Club. Considered by many to be one of the finest inland golf courses in all of Ireland, this course was built by Robert Trent Jones and features intricate course architecture that ensures varying degrees of difficulty throughout the course. 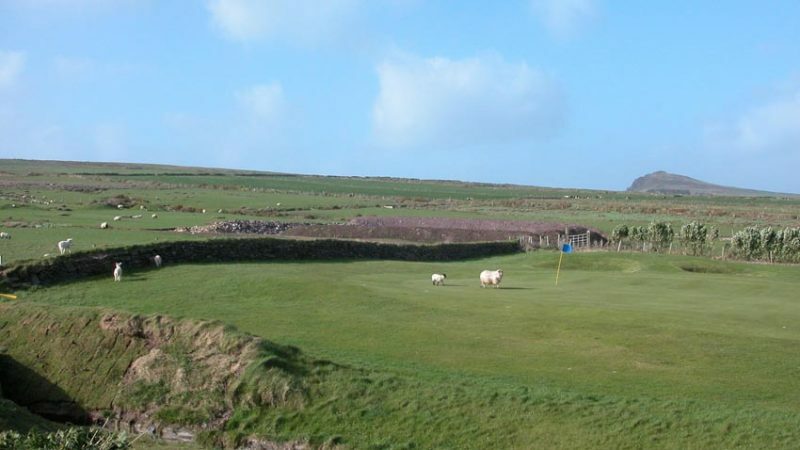 Located in Southwest Ireland, the Dingle Golf Links is a great place to golf. 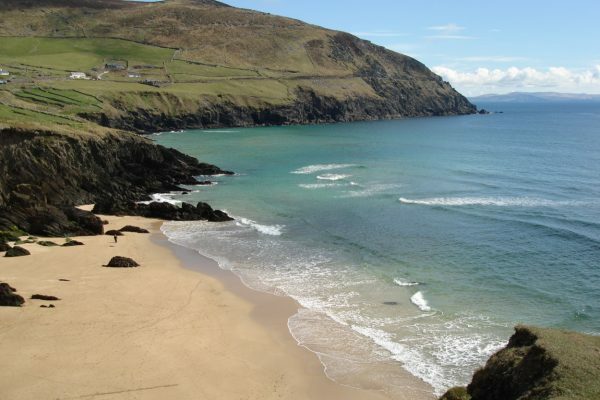 It is in a unique location right at the edge of the captivating Dingle Peninsula. This Irish golf course is not only the most Western golf course in Ireland but it also holds that distinction in all of Europe. 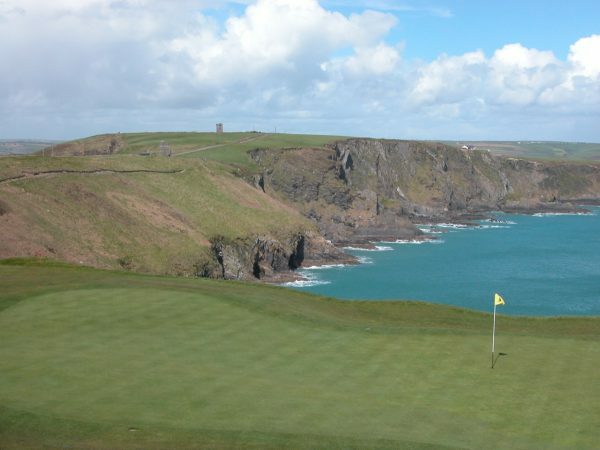 Located at Little Island, the Cork Golf Club is a great choice for those who love golfing in Ireland. The historic design and the unique course architecture make this one of the most interesting courses in the area. Considered by many to be one of the finest resorts in all of south of Ireland, the Fota Island Resort is an amazing golfing opportunity that has few rivals. 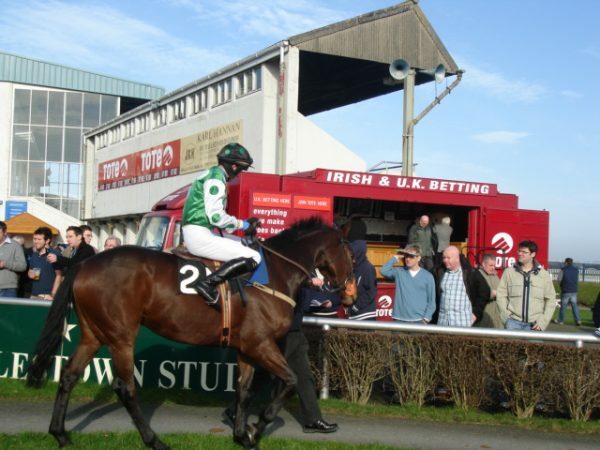 Located very close to the port city of Cobh, the location, scenery and overall feel and look of the course is quite remarkable to say the least. 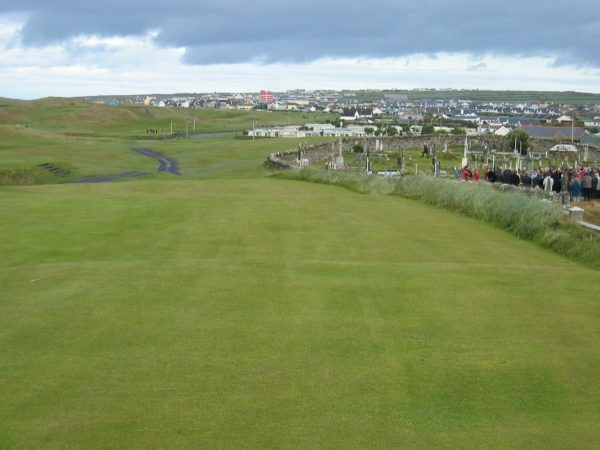 One unique golf course in Ireland that has gained the respect and trust of golfers from around the world is the Lahinch Golf Club. This is a masterfully designed course with beautiful fairways and amazingly manicured greens that rival even the best golf courses in the world. Golfing Ireland just took an entirely new leap in terms of truly outstanding golfing opportunities. 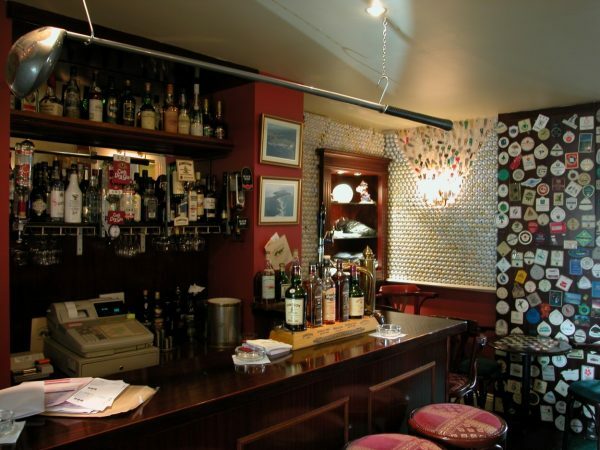 The Tralee Golf Club is conveniently situated right at Barrow Point and is just a few minutes from the town of Tralee. It is absolutely true that no two golf courses are created equal. 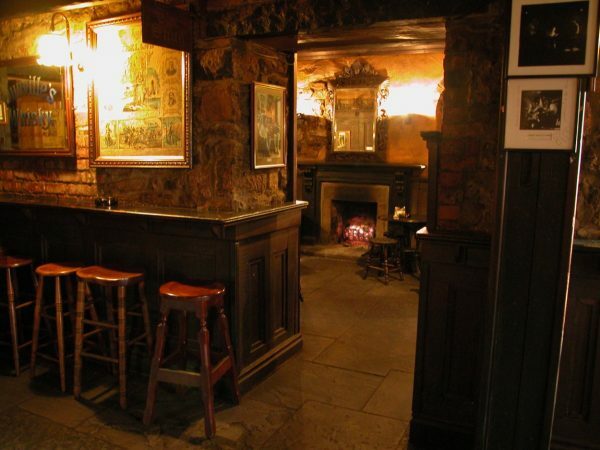 That said one course in particular in Ireland that has continually gained the respect and trust of golfers from around the world is the beautiful Ring of Kerry Golf and Country Club. This is a remarkable golf course in Ireland that is geared towards tourists while still offering world-class golfing opportunities. 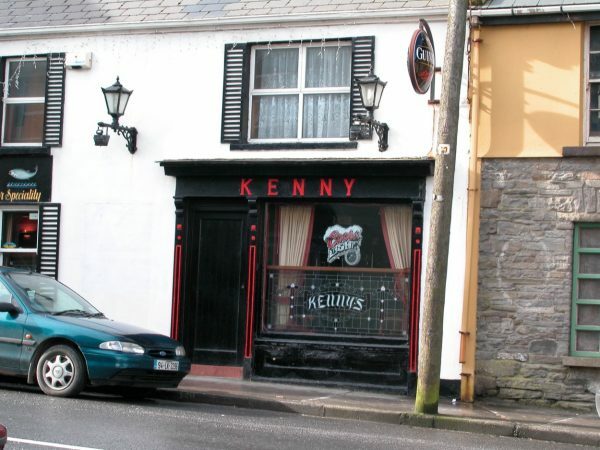 Located in a unique part of Ireland is the Killarney Golf & Fishing Club. This course offers a rare opportunity to enjoy two truly classic parkland courses that will keep you coming back for more. 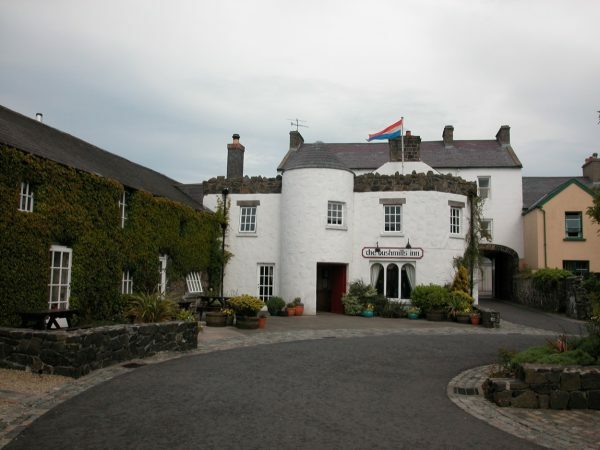 Perhaps no golfing trip to Ireland would be complete without taking the time to explore the amazing and remarkable Castlegregory Golf and Fishing Club. 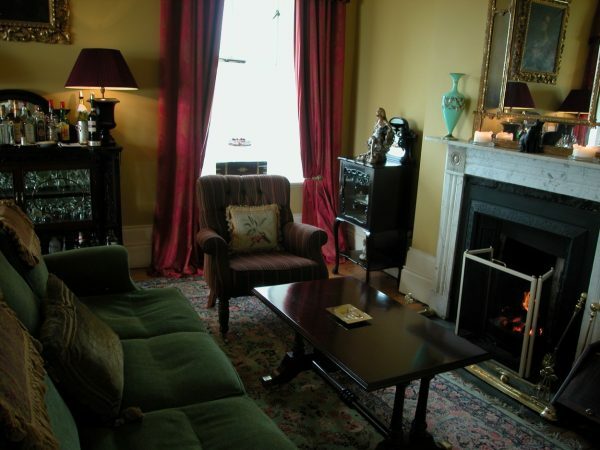 This is a great place to settle in and relax and also an ideal location for outstanding Ireland golfing experiences. 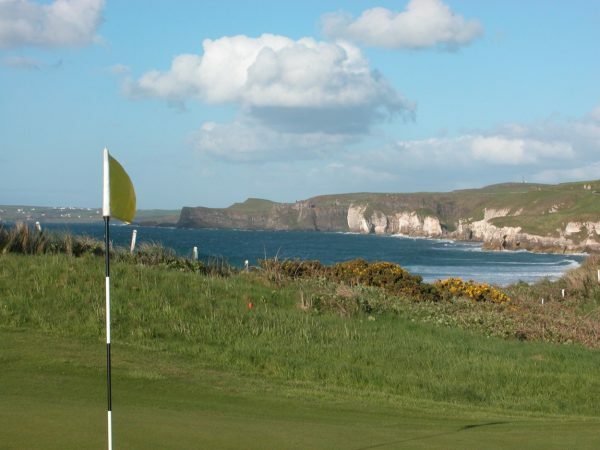 Northern Ireland is home to an incredibly inviting golf haven known as the Ballycastle Golf Club. 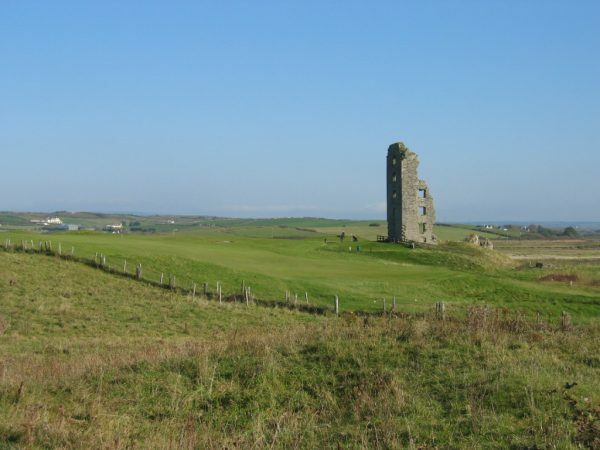 The Ballycastle Golf Club is a clever combination of challenging links that are traditional in nature as well as historic ruins and stunningly remarkable parkland. 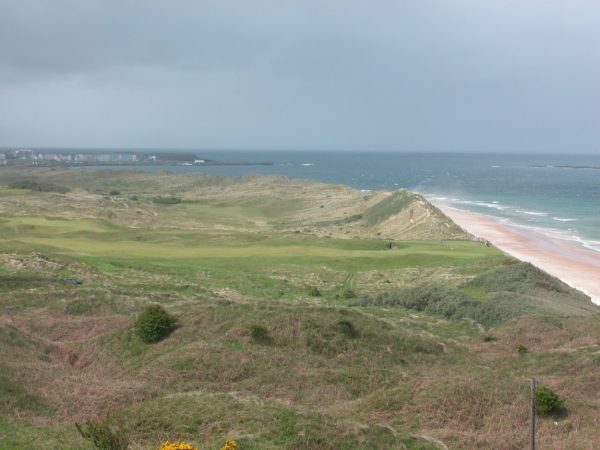 Northern Ireland has its share of amazingly beautiful golf courses, however the Royal Portrush Golf Club in Portrush is one in particular that deserves extra attention. This course actually posted the open championship in the early 1950s. The Royal Portrush Golf Club is without a doubt one of the most notable golf courses in the entire Northern Ireland region. 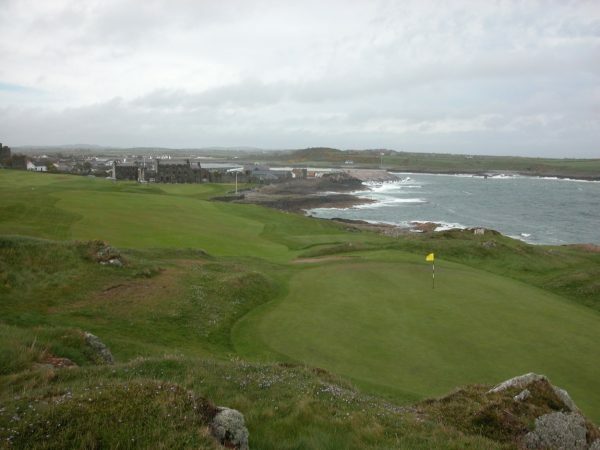 One golf course in particular in Northern Ireland that should not be missed is the Ardglass Golf Club in Ardglass. Perhaps most notable of all is the fact that this golf course features what is proven to be the world’s oldest clubhouse. The Royal County Down Golf Club is located in Newcastle in Northern Ireland. It features a rare and amazing setting that is absolutely beautiful and stunning in every respect. In an area where the mountains meet the sea, this is a golf course with few rivals. 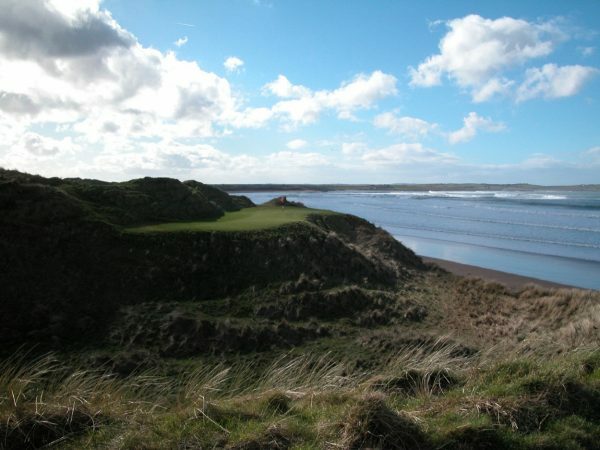 Northern Ireland is home to many outstanding and beautifully attractive golf courses. However, one course in particular that continues to be an absolute treasure is the Portstewart Golf Club. 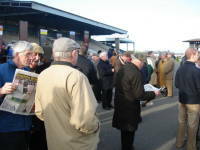 This is a course with much to offer in terms of beauty, detailed layout and challenging twists and turns. Thankfully there is a golf course in Castle Rock in Northern Ireland that offers amazing golfing opportunities that are simply beyond compare. The Castlerock Golf Club is hidden in a little corner of Northern Ireland close to the base of the beautiful an inviting Inishowen Peninsula. Close by to Dublin Ireland is an incredibly beautiful golf course known as the Portmarnock Golf Club. 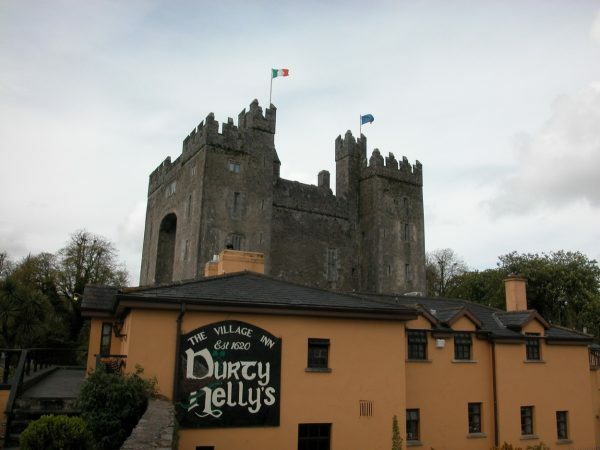 This prestigious Ireland course is located on the Emerald Isle. The Island Golf Club is easy to find and is a simple trip of around a half hour around the Peninsula. While some of the roads may be rather difficult and even hard to follow, and some turns can be missed, ultimately finding the course is not as hard as it seems. 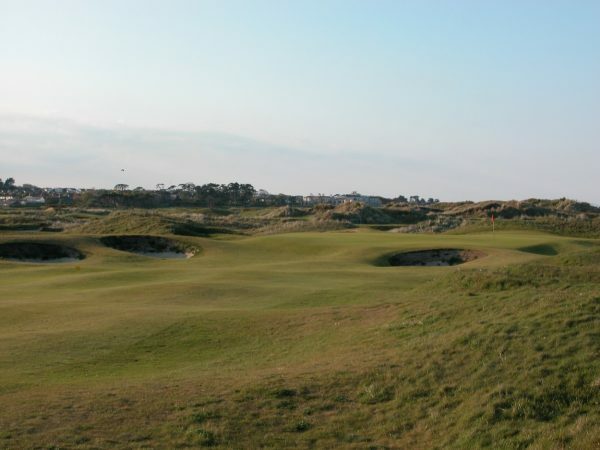 Located in beautiful and memorable Baltray is the remarkable County Louth Golf Club. Situated between Royal County down and Portmarnock this is a great golfing experience in Dublin that should not be missed. The K Club, Kildare Ireland is another example of a beautiful Dublin golf course with much to offer. It features impressive and perfectly manicured fairways as well as meticulously maintained greens and cleverly designed bunkers. 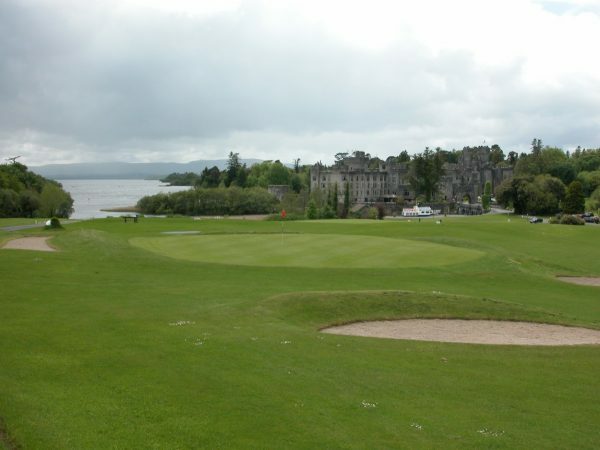 Those interested in a truly unique golf tour experience need look no further than the Killeen Castle. 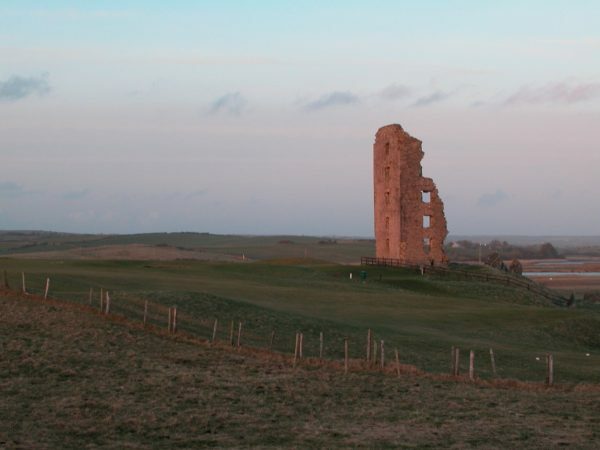 This 800-year-old treasure is impressive in every way and makes for a perfect golfing excursion. 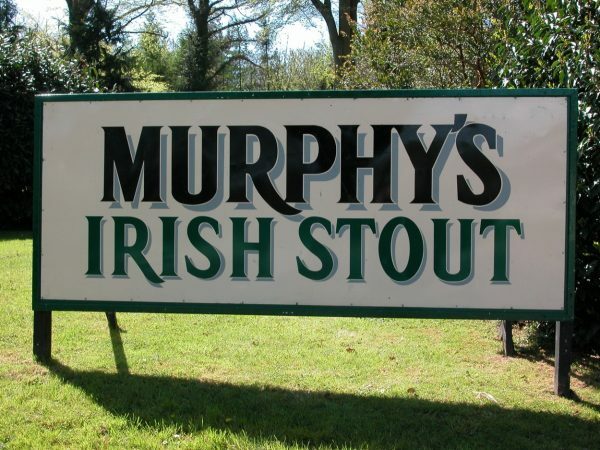 The Mount Juliet Golf & Spa Hotel is located in Mount Juliet estate in County Kilkenny. 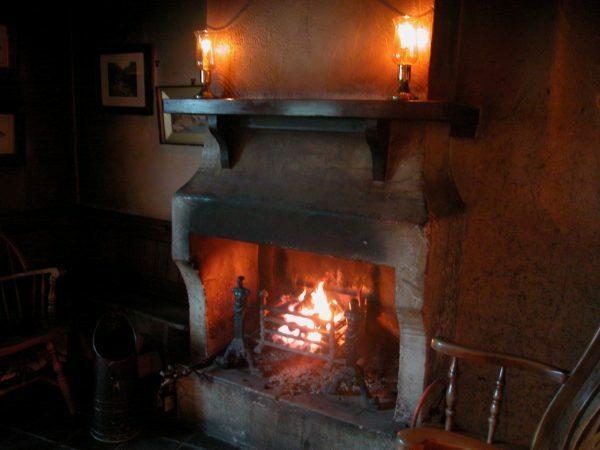 It is comprised of well over a thousand acres of uniquely beautiful Irish countryside. 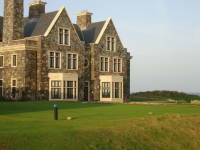 The Portmarnock Golf Club is a unique golfing venue with few rivals. The Portmarnock is known for its beauty and splendor. 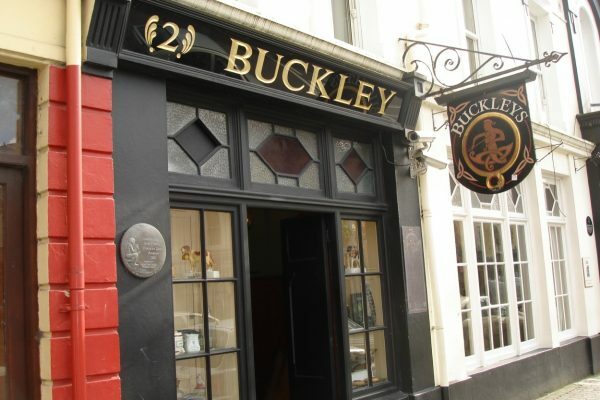 It is located just outside of Dublin and has much to offer golfing aficionados who truly appreciate the game and the beauty and elegance of a well-crafted course. When talking about golfing in Dublin, few other courses compare to the Royal Dublin Golf Club. This excellent course is known for one of golf’s most unique industrial backdrops. 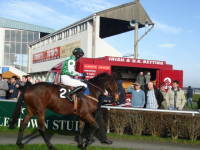 The village known as Newtownmountkennedy is host to a truly amazing golfing resort known as the Druids Glen Golf Resort. 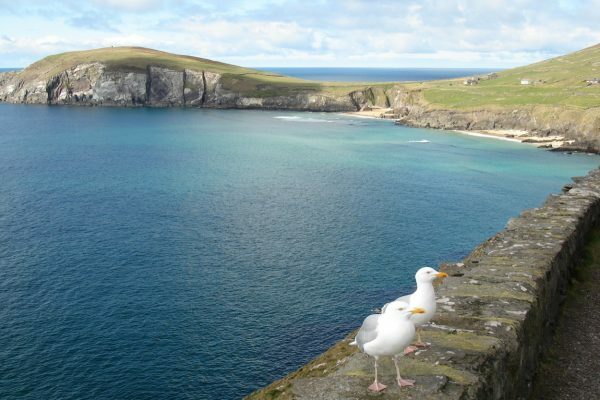 This course offers a real and genuine Irish flare and scenic beauty that is simply beyond compare. Conveniently situated just north of Dublin is the Laytown and Bettystown Golf Club. This beautiful course offers a rare chance to play golf with Dublin locals in a way that would otherwise not be possible. 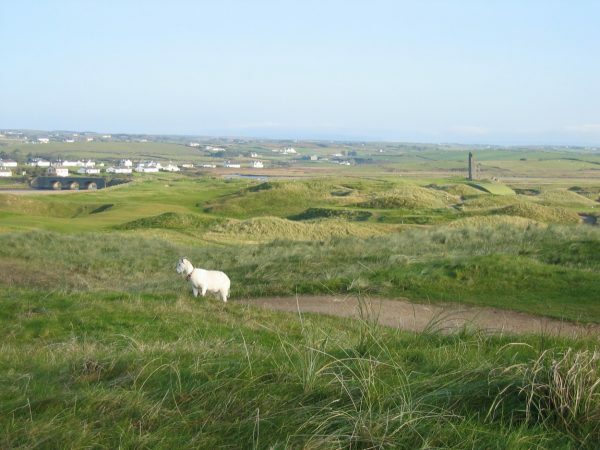 The Carne Golf Links offer the perfect opportunity to experience Ireland’s Belmullet on the northwest coast. This remote area makes the Carne Golf Links intriguing yet very inviting to golfers in the local area as well as from around the world. 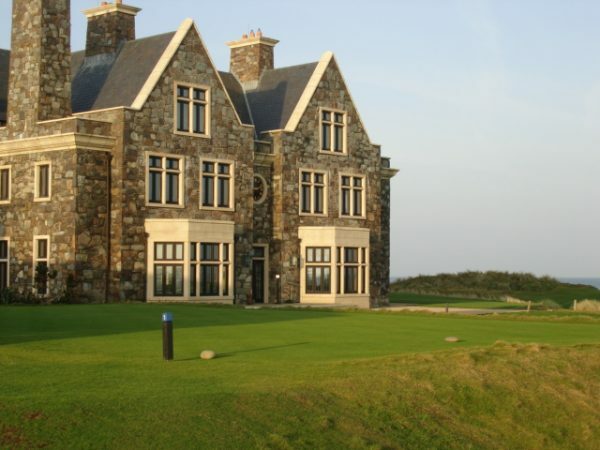 Ireland golf courses vary quite substantially from one to another. 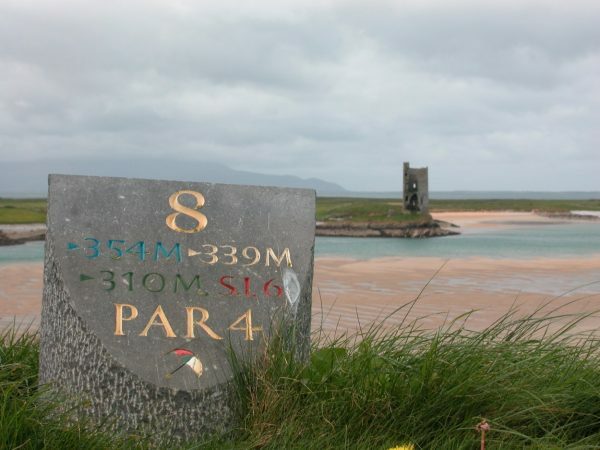 That said one unique course in particular that has gained in popularity in recent years is the County Sligo Golf Club. Northern Ireland and more specifically Ballyliffin is a unique part of the country situated close to the tip of County Donegal’s Inishowen Peninsula that has a rather amazing golf course. 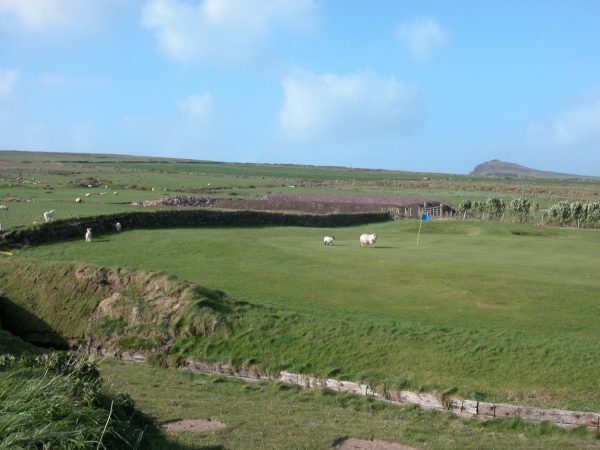 The Ballyliffin Golf Club is a trusted and respected name in quality Ireland golf courses. The Cruit Island Golf Club has often been referred to as one of the absolute greatest nine-hole golf courses found anywhere on the planet. This course is also often identified as one of the most hidden links in the country. The Connemara Golf Club is just one more amazing golf course in Ireland that should not be missed. 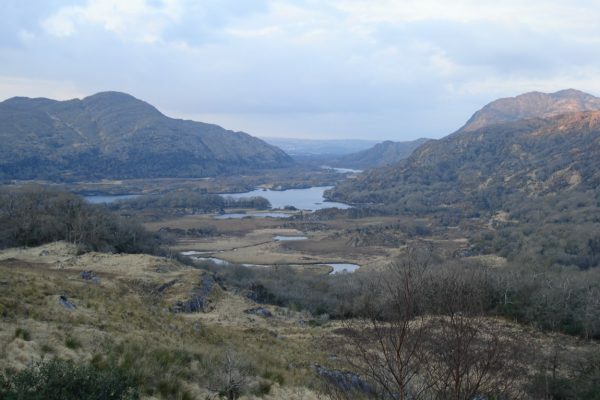 Arriving at this Ireland favorite includes a scenic drive that leads players to the Connemara region of the country. 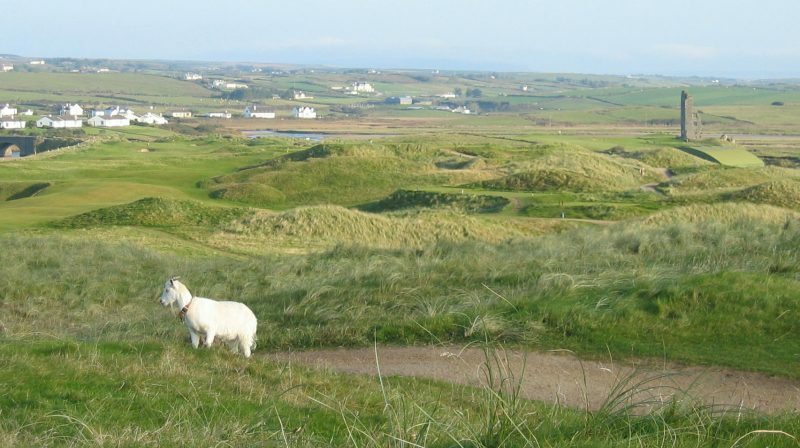 The Bundoran Golf Club is just one more impressive example of how incredibly unique and amazing golf courses of Ireland can actually be. 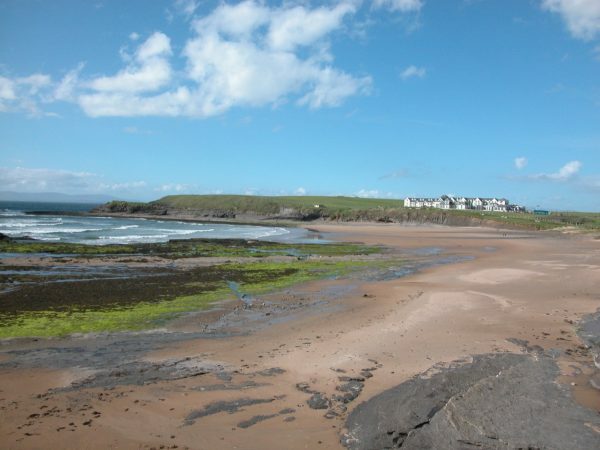 Located deep within the Bundoran village of Ireland is the Bundoran Golf Club. The Galway Bay Golf Resort it is indeed an impressive championship golf course located in Ireland that has much to offer. Most notable of all is the fact that this course in particular attracts many enthusiasts who love photography. 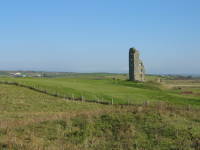 The Enniscrone Golf Club is situated in a little Irish village that is reminiscent of days gone by. The course is beautiful by any stretch of the imagination and delivers an outstanding Ireland golf course experience to each and every player. 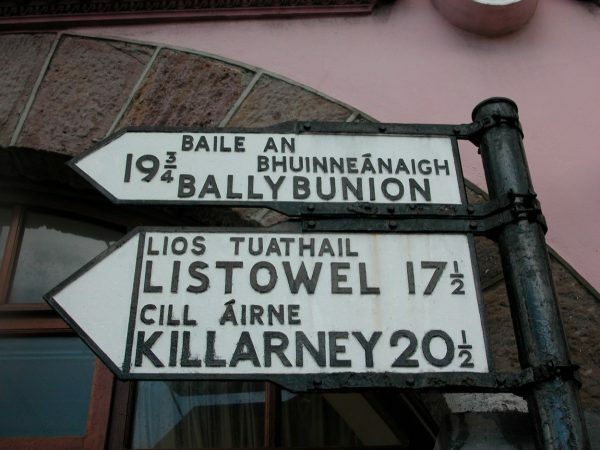 Irish golf courses vary significantly from one course to another. That said the Rosapenna Hotel and Golf Resort it is quite unique indeed. 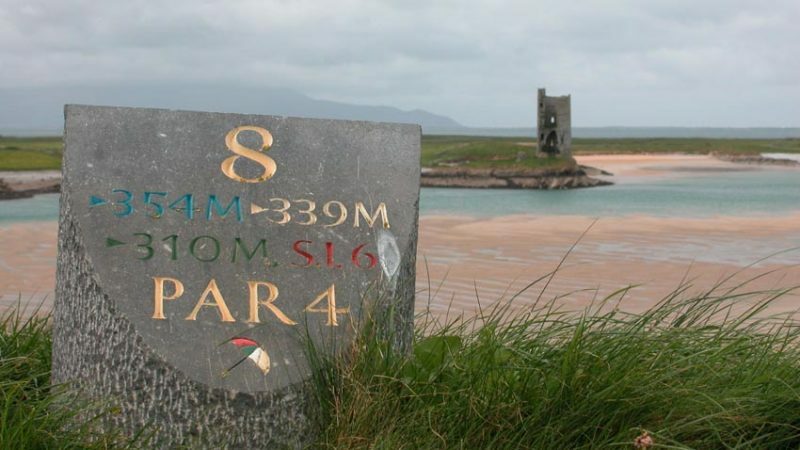 It is one of the most amazing links courses found anywhere in Ireland. 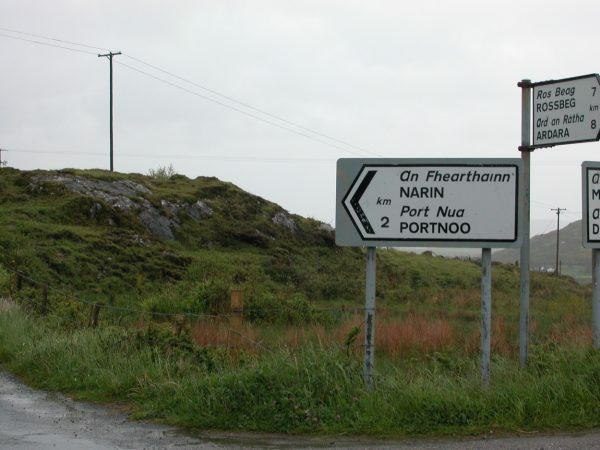 Conveniently located in Ireland’s northwest County Donegal is the Narin and Portnoo Golf Club. 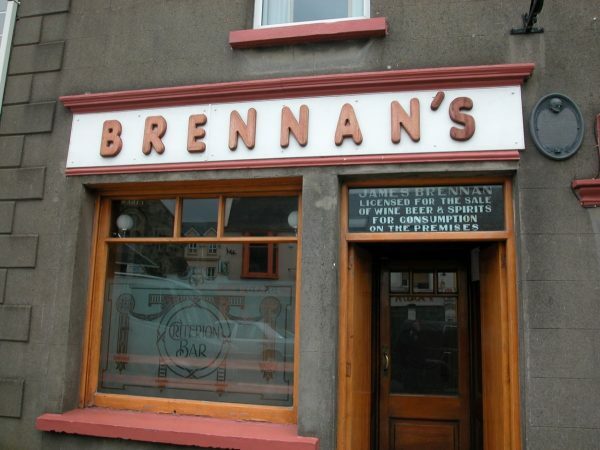 This course is notable indeed and is just a few miles outside of the famous tweed outlets of Ardara. Ireland’s Donegal Golf Club is just one more example of how incredibly amazing the golf courses of Ireland can actually be. 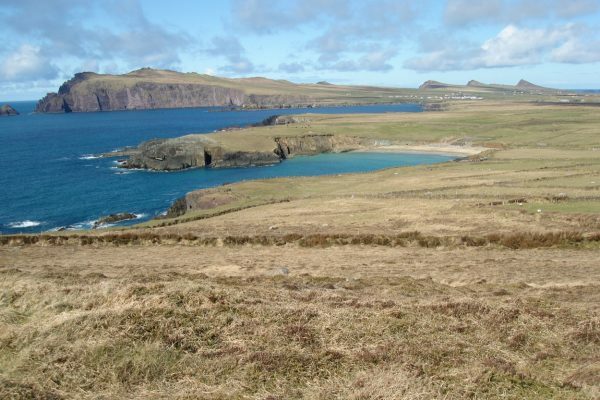 The course is magnificent by anyone’s standards and is conveniently found on the Murvagh Peninsula. The Westport Golf Club is one of the more scenic golf courses found anywhere in Ireland. 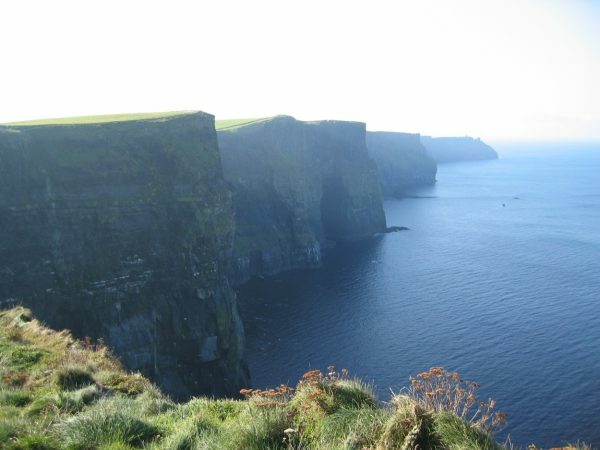 It offers stunningly impressive scenic views of the mountains and the sea.